When one of the world’s most popular pop stars plans on jumping from the roof of the stadium during the half-time performance of the Super Bowl, you can rest assured that rock-solid communication is of utmost importance. 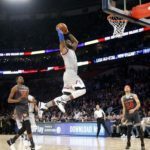 Fortunately, ATK Versacom’s production team was equipped with Radio Active Designs UV-1G wireless intercoms and the event went off without a hitch. 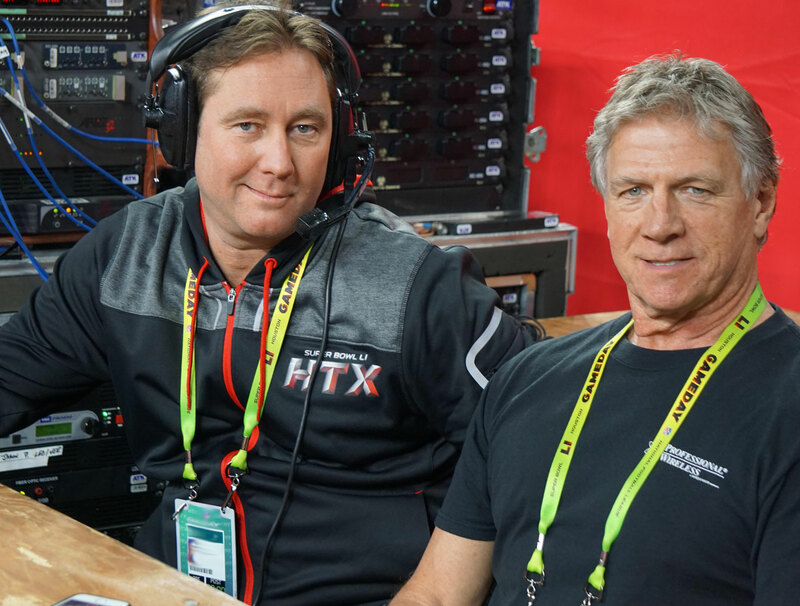 Jeff Watson, ATK Versacom’s RF PL Engineer for Super Bowl 51, managed pre-game, anthem, halftime show and the Lombardi Award presentation with the assistance of five UV-1G base stations with 30 RAD bodypacks which were in use by stage managers, audio, lighting and members of Flying By Foy, the widely-respected theatrical flying service that was responsible for the flying portion of Lady Gaga’s performance. Radio Active Designs UV-1G Enhanced Narrow Band technology is 10 times more spectrally efficient than current FM technology. As a result, the UV-1G offers RF channels possessing an occupied bandwidth of a mere 25 kHz the audio characteristics one would expect from a traditional FM system. 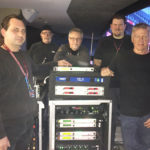 In addition, the system utilizes the relatively unused VHF range for all belt pack portable devices, leaving more room for operation of other wireless devices, such as wireless microphones and in-ear monitors, which were in use during the event. ATK Versacom also provided RAD TX-8’s for Transmit Combining and the new UHF/VHF DB-IC for receivers along with an ATK Versacom proprietary RF over fiber system. In addition, Radio Active Designs VF-1 VHF paddle antennas were also in use making is possible to cover the entire field with just one receiver antenna. A remote antenna was used in the tunnels for continuous coverage throughout the entire venue. 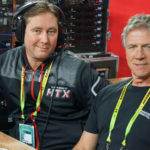 Photo Cutline: ATK Versacom’s Jeff Watson and Jim Wan Winkle, Professional Wireless Systems, with the Radio Active Designs UV-1G units.